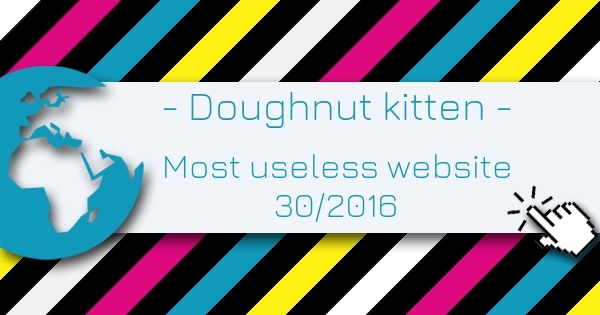 Doughnut kitten is the Most Useless Website of the week 30 in 2016. Watch as an adorable kitten, nestled in a delicious doughnut emoji, slowly transforms your screen into a sugary, kawaii confection of pastel rainbow art. Rated 3 out of 5 based on 2 user ratings.